In UAE (Dubai, Abu-Dhabi), Islamic mortgage aims to offer a halal financing solution to UAE’s Muslims and non-Muslims who wish in the context of Islamic sharia to use halal financial products in UAE. 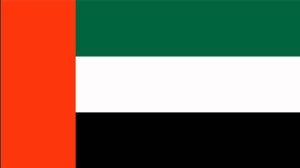 In UAE, particularly Dubai aims to become the centre of the Islamic economy. The government of this Gulf emirate announced an ambitious plan to position itself as a major centre in this area within the next years. It wants to take advantage of the global economy of goods and services with are compliant with Islamic rules, estimated at 8,000 billion dollars (5,900 billion euros) for a population of 1.6 billion Muslims. The popularity of Islamic banking products continues to grow in the UAE among both Muslim and non-Muslim customers, according to new research. In addition, Islamic banks are outperforming their conventional peers in customer acquisition according to a recent study noting that the half of UAE bank consumers now have at least one Islamic banking product. This is affecting the market share of conventional banking which shrunk to 63% in 2018. UAE Islamic finance will be growing through the fact that 85 percent of the UAE’s banking population is open to Islamic banking products. In the Emirates, home finance which is based on the concept of Ijara (leasing based financing) is becoming a real competitor towards the conventional mortgage finance. In Dubai as Islamic finance products grow in popularity, Islamic mortgages have meanwhile come into the focus of local future home owners.